The Conservative leader, David Cameron, has given his reaction to the row between the Home Secretary and the chief drug adviser whom he sacked on Friday describing the dispute as "unseemly". 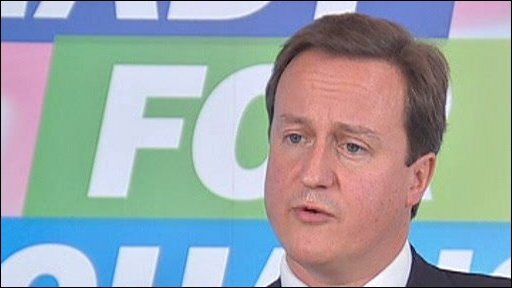 Mr Cameron was responding to questions at a news conference in London on his party's health priorities. He said he believed that the current classifications of drugs, the issue at the heart of the row, should remain unchanged.